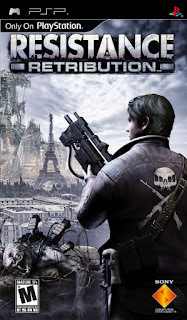 Resistance Retribution PSP ISO apk android for ppsspp free download working on mobile and pc,Set in the weeks after Resistance: Fall of Man, Resistance: Retribution follows the story of former British Marine James Grayson. 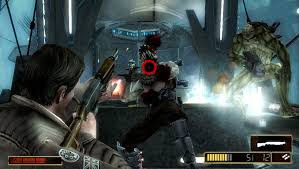 After a personal tragedy – he is forced to kill his own brother inside a Chimeran conversion center – Grayson goes on a vendetta to destroy every conversion center he can find. Eventually Grayson learns that his efforts have been futile… in Western Europe the Chimera have evolved a new method of converting humans to aliens. 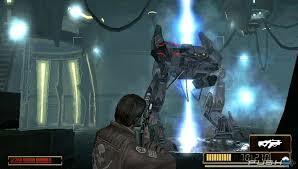 The European resistance – the Maquis – enlist Grayson’s help, and he joins Cartwright and Parker in Operation Overstrike. 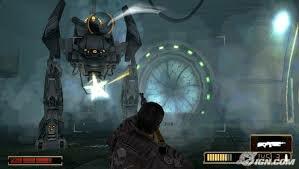 The war to retake the European continent has begun.